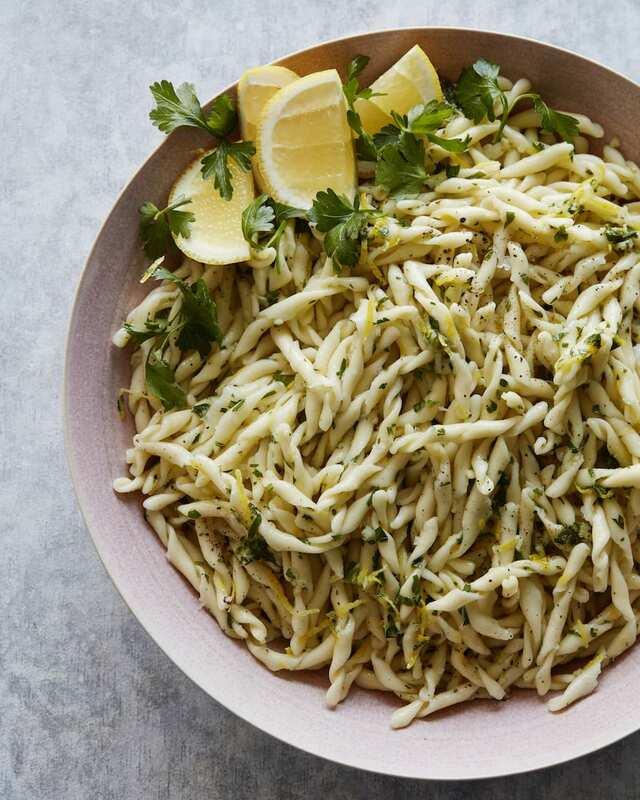 Sunday – We’re doing it UP for Easter Brunch today so I’m keeping it light with this Pasta Gremolata for dinner. 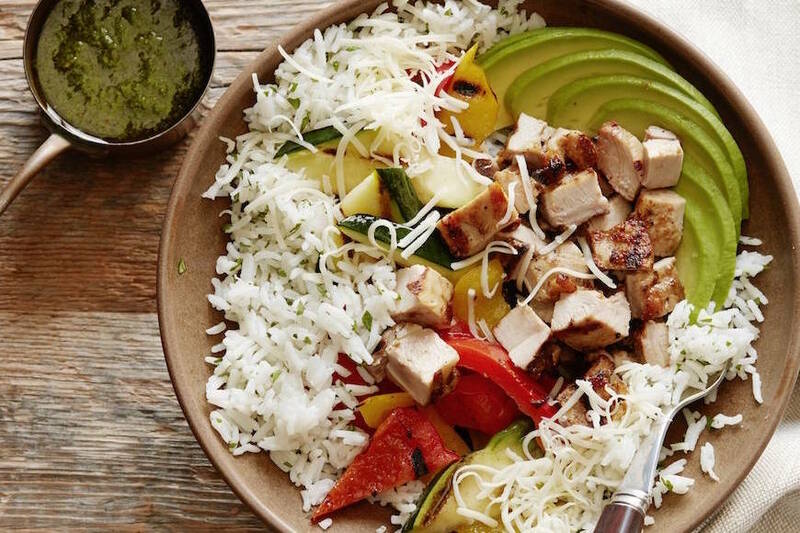 It’s simple and quick which is exactly what I need after cooking an epic brunch spread! 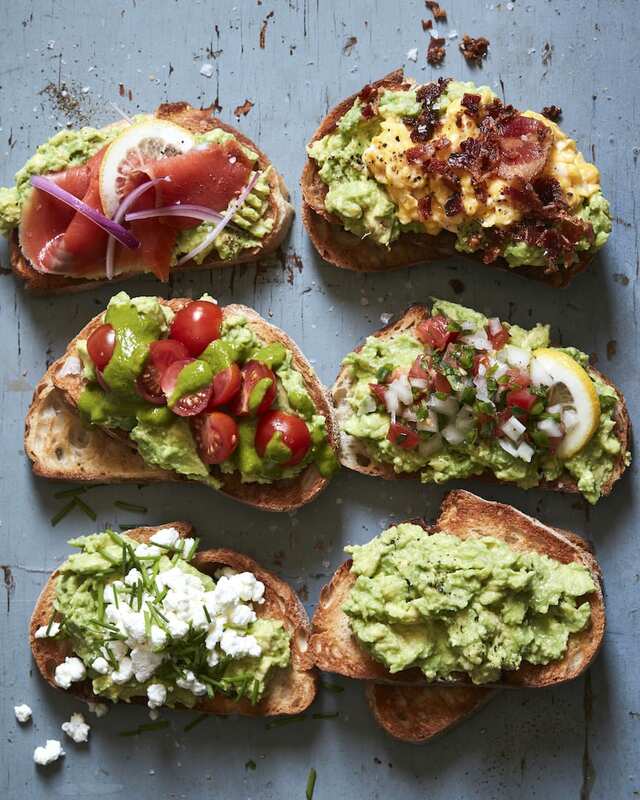 Monday – I feel like it’s an avocado toast kinda night! That’s allowed for dinner am I right? And, of course, the obligatory Green Monster Salad! Tuesday – BLT Salmon Salads are happening tonight! 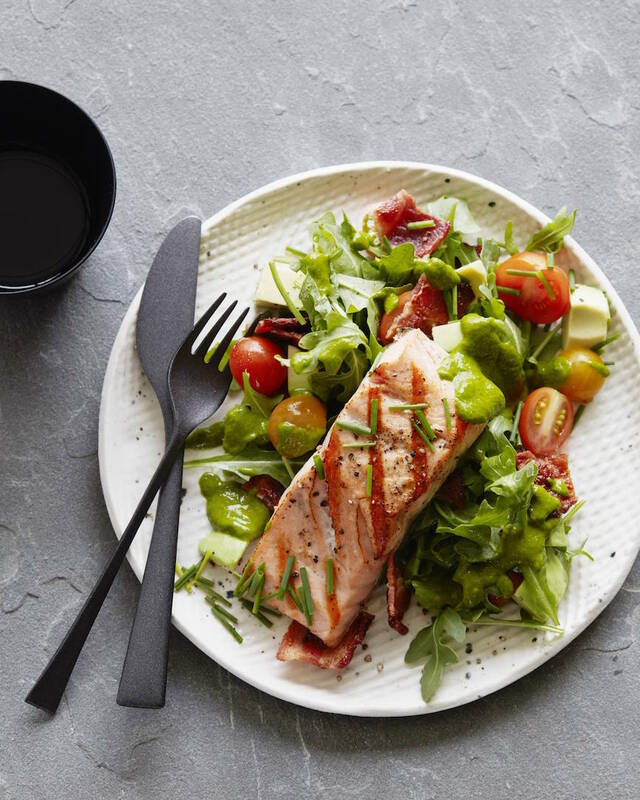 Salmon, Bacon, Tomatoes… mostly clean and so freaking good. 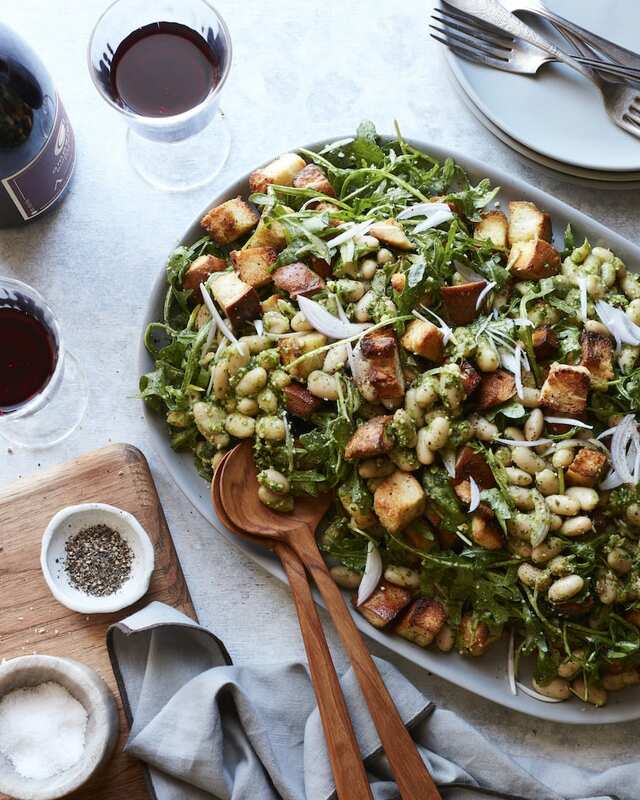 Wednesday – White Bean Panzanella with all the pesto! Plus it’ll double for lunch the following day. Thursday – PIZZA NIGHT! 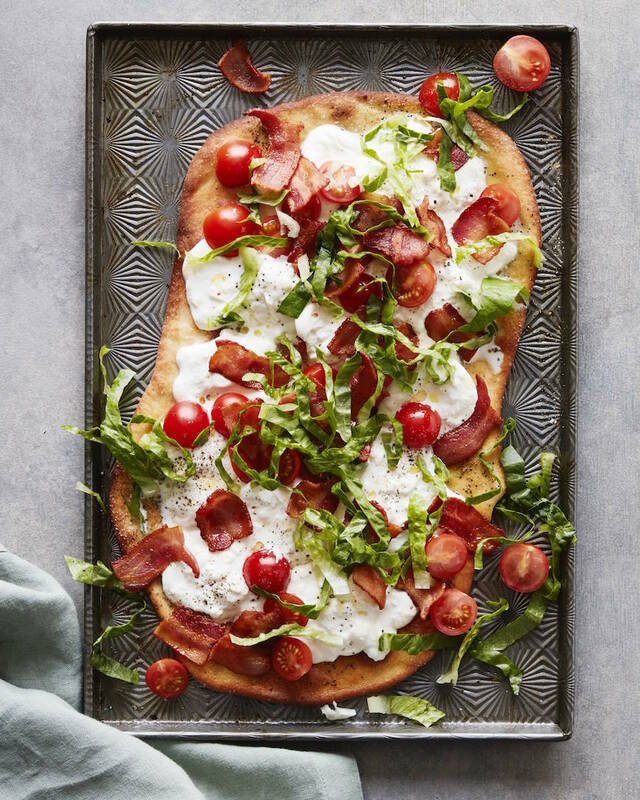 BLT Flatbread / Pizza is happening. Half salad / half pizza! Just really into that BLT life right now. A little sweet something something for the week! 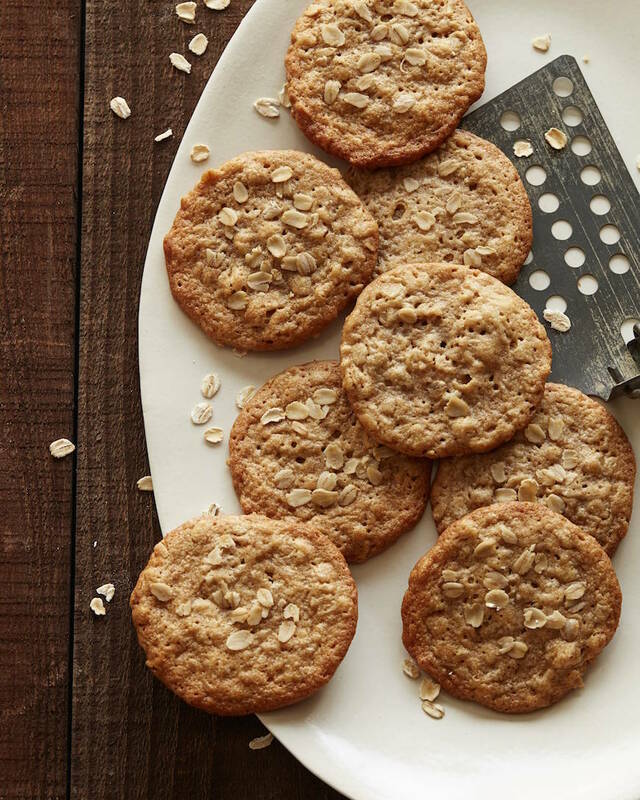 PEANUT BUTTER OATMEAL COOKIES! 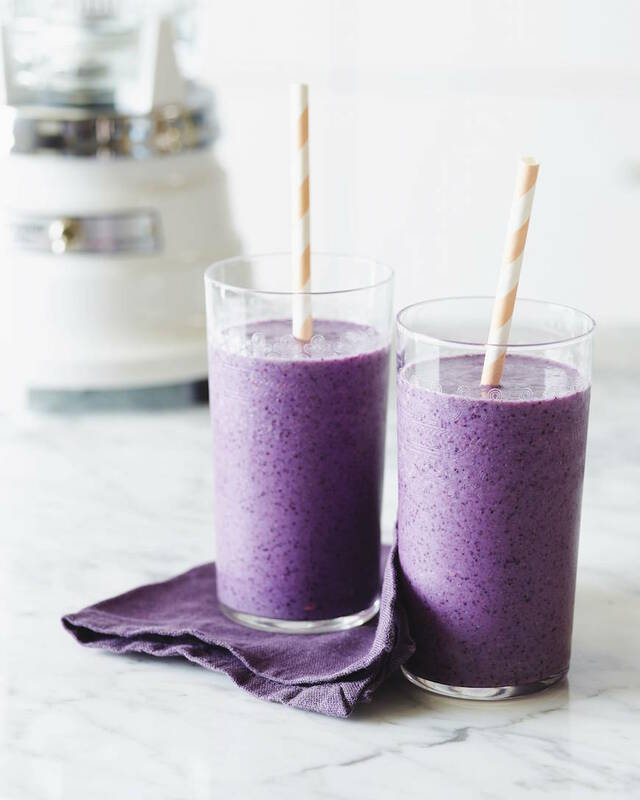 And this week how about some blueberry banana smoothies for breakfast! I’ll take some of that scampi!!! I am new to following you! I love everything you’re posting! I love the meal plans!!! 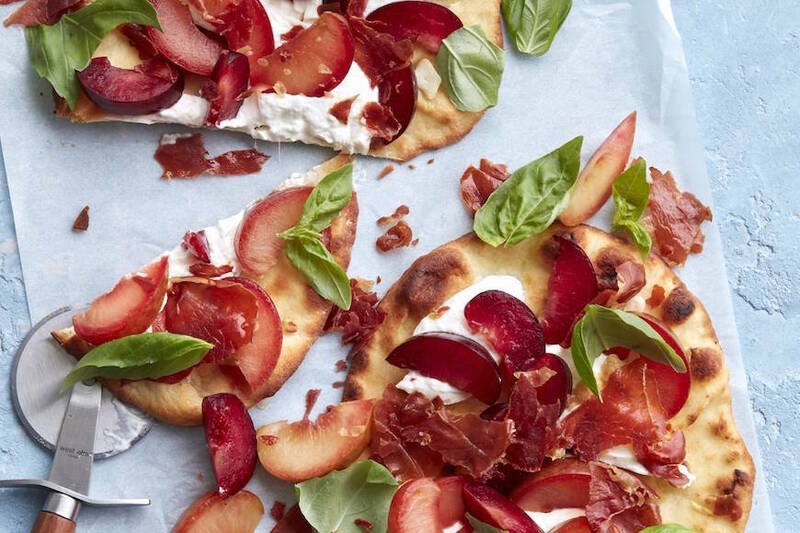 I need to make that flatbread for sure! 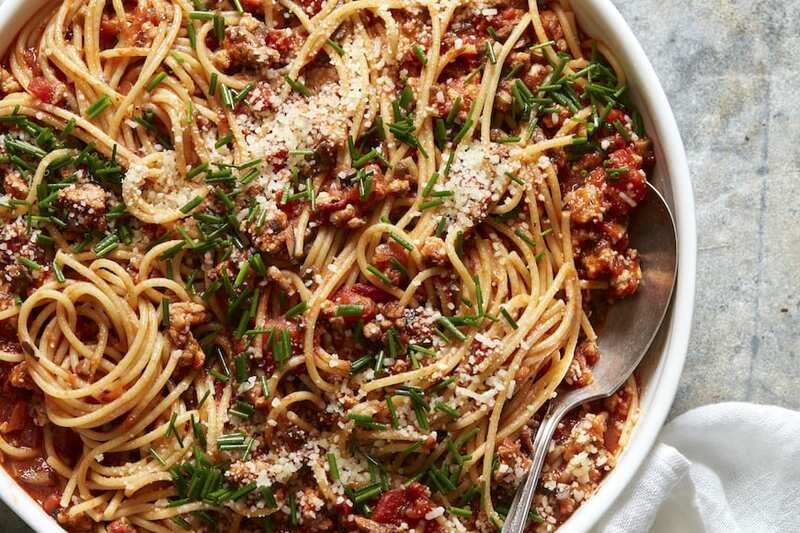 Love the recipes and really want make a few of them. However I am in the UK and a cup or half a cup means nothing to me as we have cups of so very many different sizes. Help!!! !